CALLAHEAD is New York’s largest portable toilet company. We have over 30 years of proven experience. At CALLAHEAD, we strive to exceed far beyond your expectations. We do this by constantly providing the latest in personal sanitation technology. We do not stop at standard portable toilets; at CALLAHEAD we take it above and beyond, with endless amounts of new ideas and creations. Now, CALLAHEAD is proud to present its newest creation, the Toiletree 16 portable toilet for Special Events. 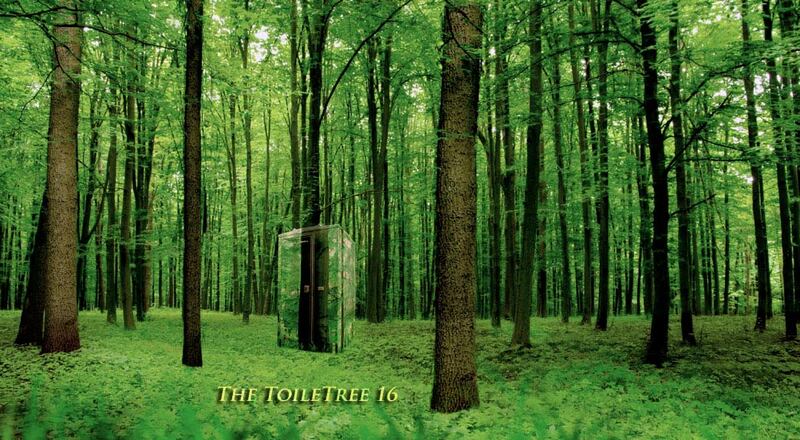 Designed much like the Aerohead 16, the Toiletree 16 was created with the environment, and the ongoing expansion of the "Go Green" effect in mind. 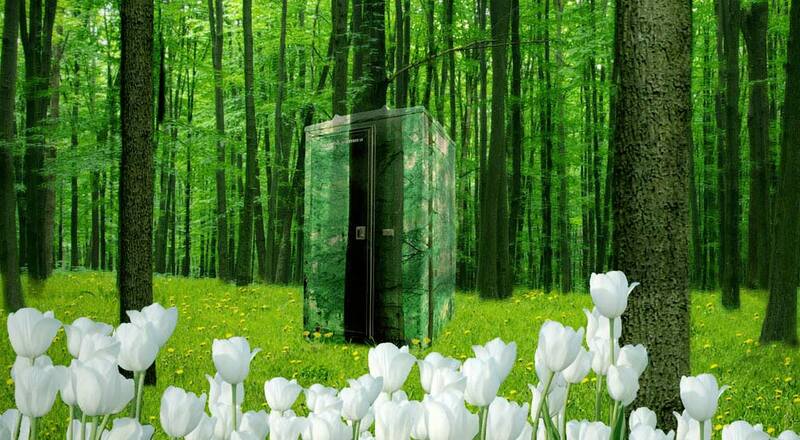 Perfect for anything from a backyard party, to the most elegant corporate special event, the Toiletree 16 portable restroom is guaranteed to be noticed. 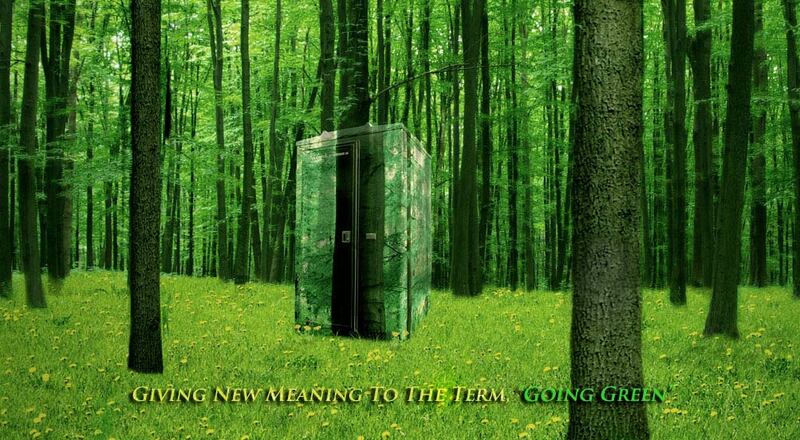 It’s forest like appearance gives the illusion of something more than just a toilet, while fulfilling all your bathroom needs. While guests might feel like they are literally walking into a tree, inside they will find a fully self contained restroom, outfitted much like the bathroom in your own home. 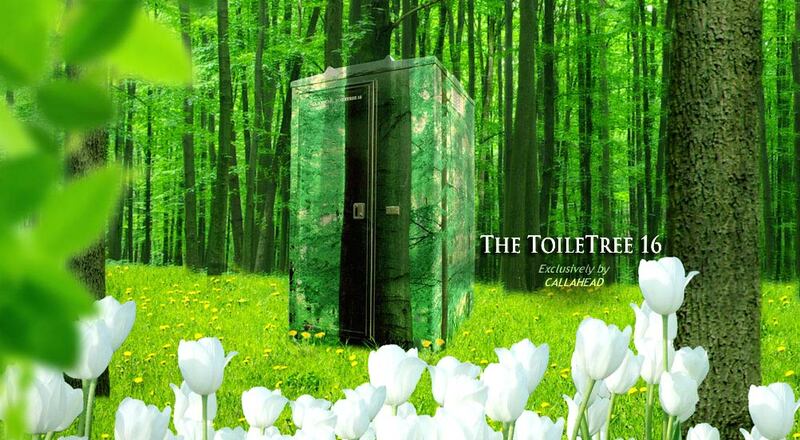 the Toiletree 16 is designed to be completely odor free. For your personal convenience, the Toiletree 16 portable restroom comes fully equipped with a James River Rollmaster toilet tissue dispenser, a seat pad dispenser, a Bobrick stainless steel deck mount soap dispenser and a single fold paper towel holder. the Toiletree 16 is specially designed to be completely solar powered, requiring absolutely no power or water supply to operate. Fabricated from smooth marine grade plastic construction, the Toiletree 16 portable toilet is completely dirt resistant. Furthermore, its durable and pristine-white interiors project an ambience of ultra cleanliness -- which is exactly what your Special Event needs! CALLAHEAD has the means and knowledge to serve the portable facility needs of our customers; we provide the highest level of prompt, professional and courteous service in the portable toilet industry. Make your special event a memorable and successful affair, reserve your Toiletree 16 today! The ToileTree Portable Toilet Rental for your Special Event!